I will post a fantastic result of topical finasteride in the next day or two. It’s fascinating how well this product works. We also have another great patient video to put online showing an excellent response to transplantation. Both results are incredible, and I’m happy for both patients. The result from transplantation is remarkable because we used our Cytokine Rich Plasma to get an early response. 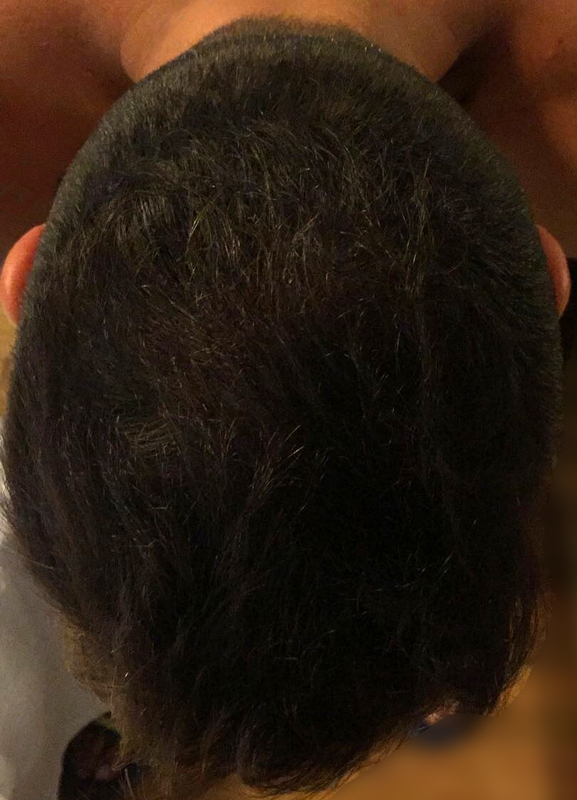 As promised, here is a great topical liposomal finasteride treatment result on a professional basketball player. The result is 7 months following the onset of treatment. First, I will show the results after treatment. And now the before photos. One would presume the topical application of finasteride will have fewer systemic side effects. However, we don’t know that for sure. Side effects could be similar. We just don’t know that for sure. 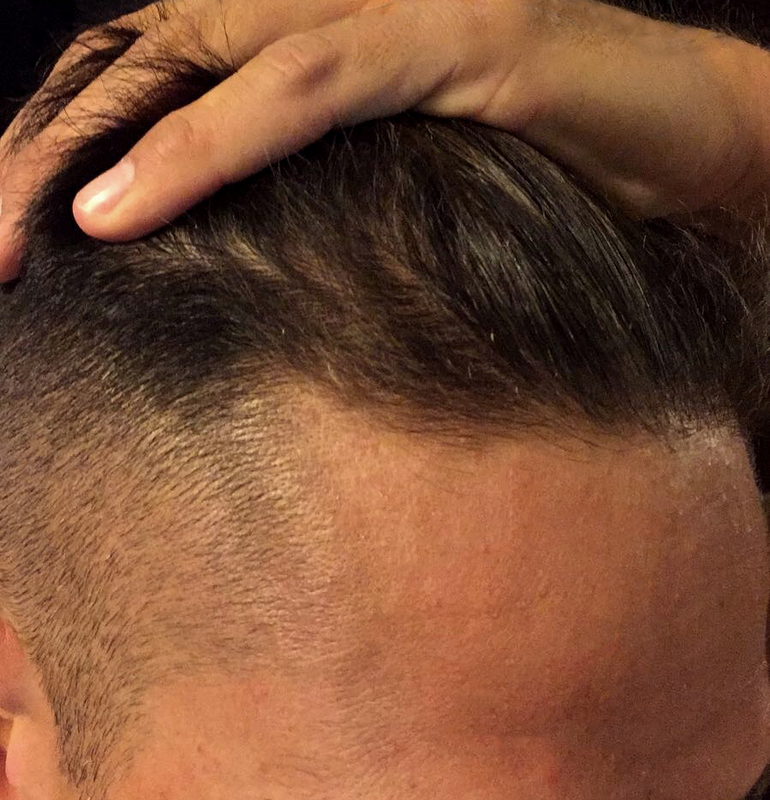 What we now know it that topical finasteride with a liposomal delivery system does work. We do know that this young man is thrilled with his results and we are too. They manufacture this product in Italy. Italy is a hotbed for cell based therapy and cutting-edge topical treatments. Sadly, Italy has very few great hair transplant surgeons. I am happy to be affiliated with one, Dr. Chiara Insalaco from Sicily. Her office is in Rome, Italy and soon in Milan, I suspect. I’m not a big fan of medications in general because we don’t know the long term effects on the body. For example, I had a patient on finasteride, who developed depression that lasted two years after stopping finasteride. He finally returned to normal. I’ve seen marriages break up over sexual dysfunction with finasteride. 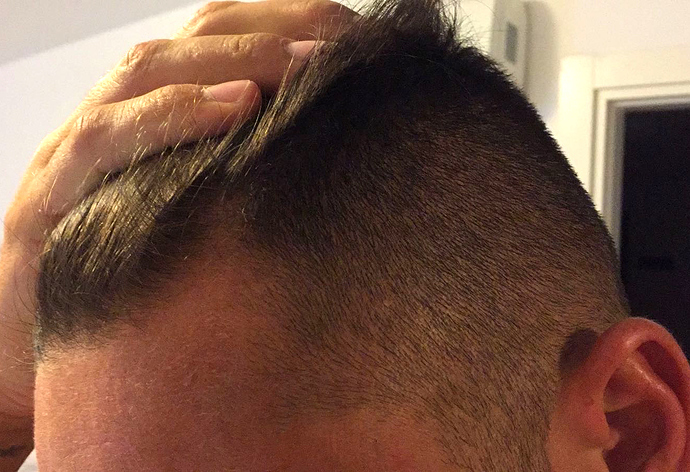 I do suspect that topical finasteride is a step in the right direction. This is a wonderful result that I am pleased to report. What an incredible result. This should be available to U.S. patients. This is quite incredible indeed. When would this be available to U.S. patients? Where would one be able to order? 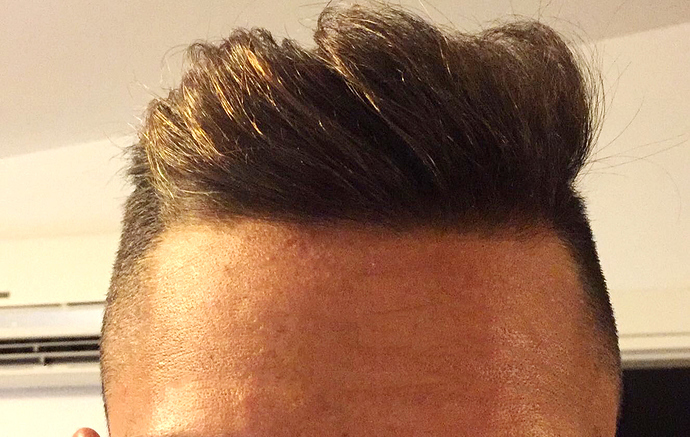 Topical finasteride doesn’t seem to make much sense to me because in order for finasteride to work it MUST go systemic. 5ar2 isnt located exclusively in the scalp, so how would liposomes (which would be suspended in the scalp) prevent the conversion of T->DHT elsewhere in the body, from then circulating up into the scalp and triggering whatever cascade that is responsible for male pattern baldness. Obviously this is a huge oversimplification but i cannot get past it. I also remember reading that the liposomal delivery would cut systemic absorption down to about 5%, which isn’t trivial considering that finasterides dose response curve is nearly flat. So if you are applying 1MG topically daily, you are still getting ~.05MG systemic absorption which is like 70-90% as effective as 5MG. he is having results from treatment (duh) – this seems to be satisfied ! he is no longer having any side effects from treatment. I don’t see anyway around this, i do think it’s just a cash grab preying on wishful thinkers. Would love to hear some arguments. Your intro was a little ambiguous for me… are you saying this result is from the topical in conjunction with a transplant, or the topical alone? Also, was it really necessary to provide after photos of the crown that are so lacking in lighting? What’s the point? And if they are from the patient, why not ask the patient to take decent pictures before posting worthless “after” shots? Amazing! both sides are filled in completely. 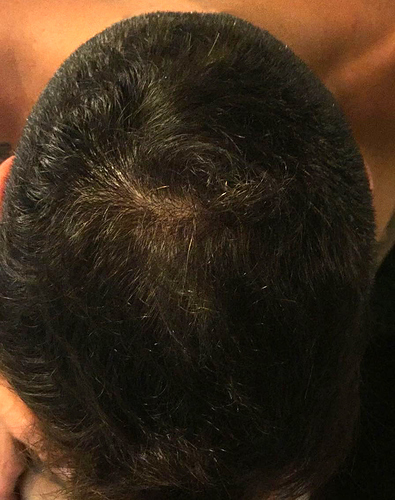 Topical Liposomal Finasteride was the only product he used over the 7-month period? Do I need a script to get topical liposomal finasteride? any more Topical Liposomal Finas results?